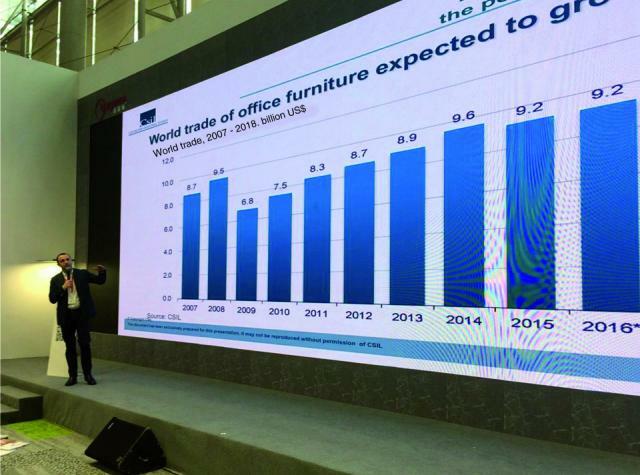 CSIL was invited to participate in the 8th edition of the Global Office Furniture Outlook in Guangzhou, a Forum organized by CIFF and Edimotion, where international professionals and journalists of the office furniture sector debated matters regarding the workplaces trends. Mauro Spinelli, CSIL Partner and expert in the research field of office furniture, delivered a speech focusing on the world trade of office furniture, state-of-the-art and forecasted scenario for the office furniture market. The Office Life Theme Pavilion, an event dedicated to wellbeing in the office environment and solutions aimed at improving the quality of work.